We’re excited to bring to you a new theatre experience package. 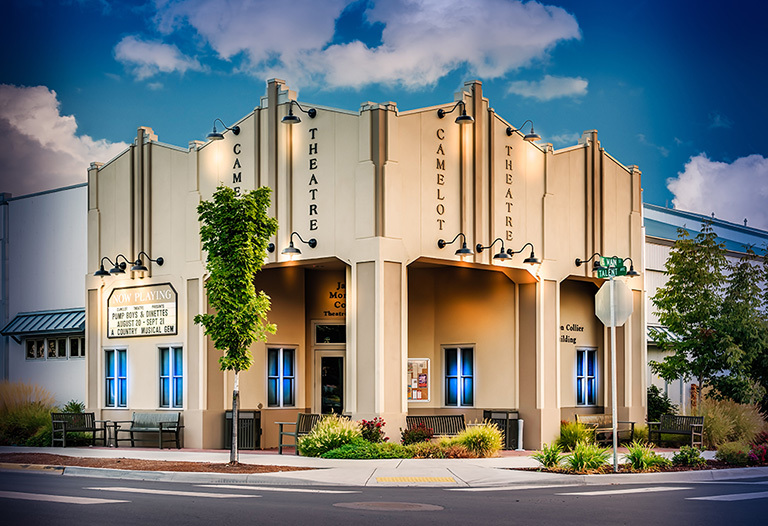 Enjoy live performances at the year-round Camelot Theatre, nestled in the charming small town of Talent (located five miles from our hotel). This package is perfect for a unique date, or fun getaway with friends and family! Click to view Camelot Theatre show schedule. Overnight stay for two guests in a beautifully appointed room. Two tickets to the Camelot Theatre. Complimentary steam and sauna at Waterstone Spa (based on availability, please call 541-488-0325 to reserve). Package starts at $239 (starting rate varies on reservation date and room type availability).